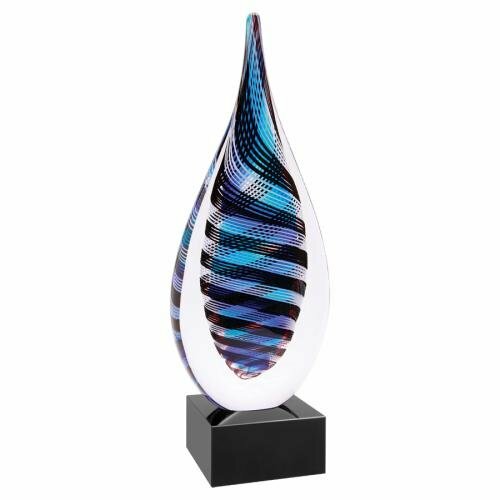 This unique art glass sculpture features a rain drop shape with internal intertwined colors of blue, white, and black, sitting atop a black marble base. 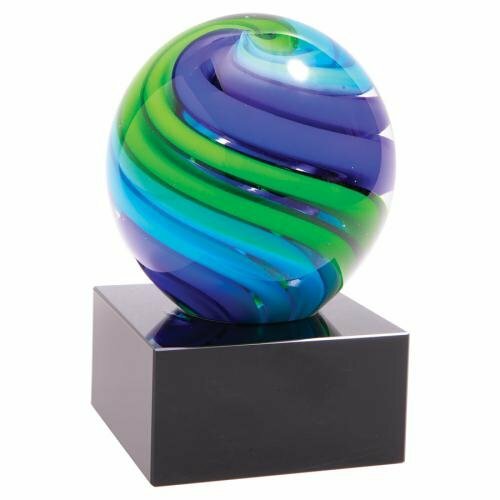 Total height is 12" Includes up to 50 characters on lettered base plate (3" wide by 1.5" tall) and padded presentation box. Place in cart to order online, specify text, and select shipping method. This brightly colored 3.5" diameter blue and green sphere sits atop a black marble base. Includes up to 50 characters on lettered base plate and padded presentation box. 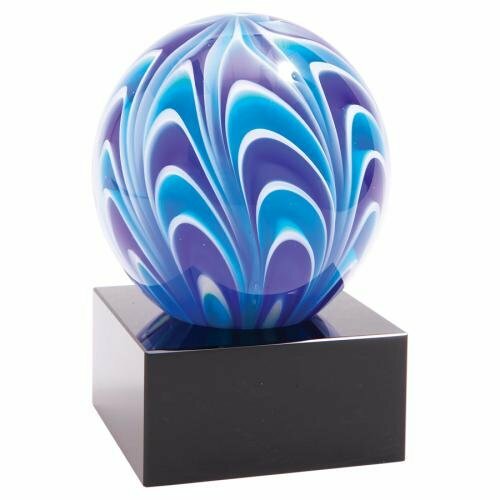 This brightly colored 3.5" diameter blue and white sphere sits atop a black marble base. Includes up to 50 characters on lettered base plate and padded presentation box.